Stop by ETA Open Studio to use studio tools and equipment, or to check out what's going on, talk shop and hang out. It's collaborative, informal learning and maker time for tech enthusiasts of varying skill levels and interests. Open to members and non-members whether you have attended an ETA class or not. A trained monitor is present to assist. Open Studio is, however, not like a class where in-depth instruction will be given. No registration needed. Free for members. Open to non-members. For non-members, there is a $20 drop-in fee payable to the studio monitor by cash or check made out to BARN. All are welcome to drop by during this Open studio if you would like to observe. Join fellow weavers for a year-long study group meeting one day a month to view the Jane Stafford’s Online Weaving Guild episodes on our big screen in BARN's small classroom. We will learn new weaving techniques and share our success as weavers. Here is a link to the project that will be featured in these sessions, what fun to have monthly "weave-along" projects with this study group: JST Online Guild Season 3. You can be a beginner or master weaver to join this group. This is free for BARN members. Non-Members can pay the $20.00 drop-in fee per session and also attend Weaving Wednesdays Open Studio that goes from Noon to 2:00 pm in the Fiber Arts studio. Participants are welcome to attend one or all of the monthly sessions, those who register will get emails on the monthly topics. Please register for this series so we know how many will be attending. You can attend each month or pick and choose the month/episodes you want to view and attend. Participants will need to enroll in the JST online guild by clicking here. The online guild requires a fee to join and BARN is not facilitating your enrollment in the JST Online Guild. Once you join, you will also have access to all the past episodes and helpful information posted on the JST Guild website. Jane began weaving at the age of 21, purchasing a new Fanny with the help of a chattel mortgage on her Chevette. Before two years were up she was accepted as an under-qualified, but very ambitious student at the Banff School of Fine Arts. Two years later she was a teacher’s assistant there and, in a few more, an instructor herself. In subsequent years, Jane has had the great fortune to be able to earn a living doing what she loves most, weaving, and sharing her passion for excellence in cloth. Jane has been both a production weaver and a workshop instructor, helping students reach their potential across the continent, for over 25 years. She was the recipient of the “Teacher of the Year” award for 2014 from Handwoven Magazine. Jane now teaches exclusively in her studio on beautiful Salt Spring Island, British Columbia. The Surface Design Study Group (SDSG) is a group for fiber artists to meet to share surface design ideas, concepts and executions. It meets on the first Tuesday of each month from 11:00 AM to 1:00 PM. The specific meeting topics and formats vary from month to month. There are a variety of items on the agenda including: speakers, activities*, idea sharing, art presentations and, when requested, constructive critiquing. *Activities that require BARN Fiber Studio resources, training and/or additional materials are approved by the Fiber Lead/Steering Committee and posted separately. They are often space limited and all participants are required to sign up for them through the BARN website calendar. Non-Members - $24 for January - June 2019 meetings and must register. Drop in visitors are welcome for any of the individual sessions and can attend SDSG meetings for a fee of $20 per meeting/sessions, payable with cash or check at the time of the meeting. Bring a bag lunch. We have a refrigerator for people to store their lunches and drinks! Island-based instructor Diane Crago comes to BARN to share her signature style of painterly printing. Combining painting techniques with printmaking to create an original monotype is a great way to learn about both mediums. Class runs four consecutive Friday afternoons. Students will produce a finished print, beginning with the press then adding elements through hand-printing and brush applied color. Discover the element of surprise in printing with this technique! 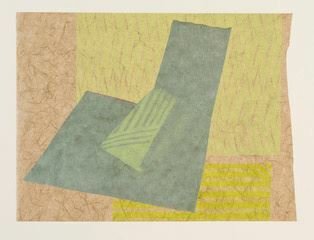 Monotype is one of the most direct and traditional methods of printmaking and yet it allows an infinite variety of unique expression. Diane is committed to supporting the emerging artist inside all of her students, and will walk you through all the stages to a completed print. She will be available to meet with interested students for an additional class session to complete work, date and time tbd. 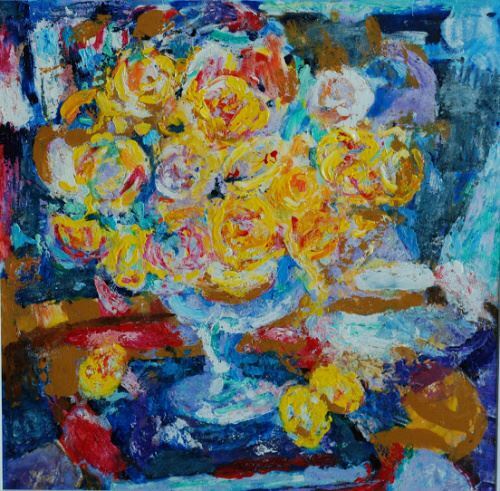 Pierre Bonnard said, “Art is what happens in the corrections”. There are no mistakes in this class…only a wonderful way to free up your art and your vision. A materials fee of $25, included in the class fee, covers paint, ink, paper, acetate sheets and other studio tools. Feel free to bring lunch. There is a kitchen for storage and reheating of food. This class may be canceled if minimum enrollment is not met by 5 days prior to class. 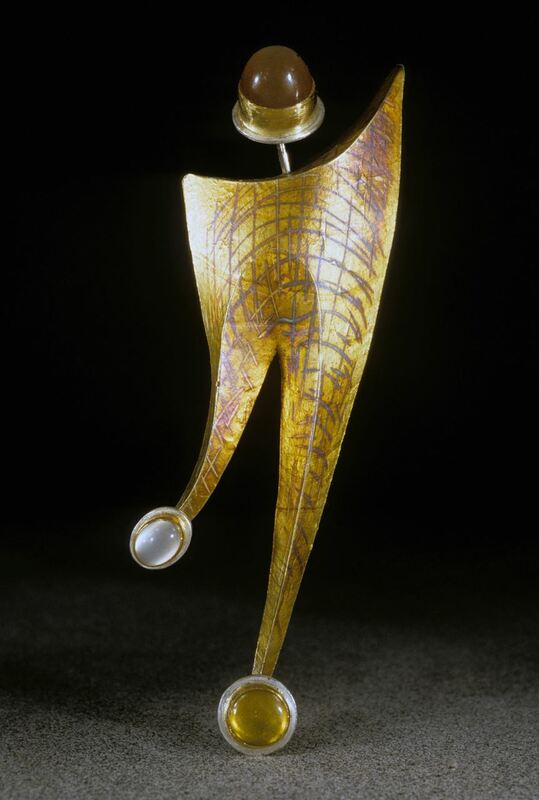 Diane Crago received her degree in Fine Art from University of Washington. She has taught art for 45 years, most recently painting classes for employees at Microsoft on the Redmond campus, and for the Experimental College at U.W. She has shown her work internationally, and loves teaching small groups while retaining the private class experience. She specializes in teaching the techniques shown on her website www.dianecrago.com. The Collage Study Group is a group for collage artists to meet to share ideas, concepts and executions. It meets on the second Monday of each month from 10:00 AM to 2:00 PM. Meetings may have topics or be work time, and formats may vary from month to month. 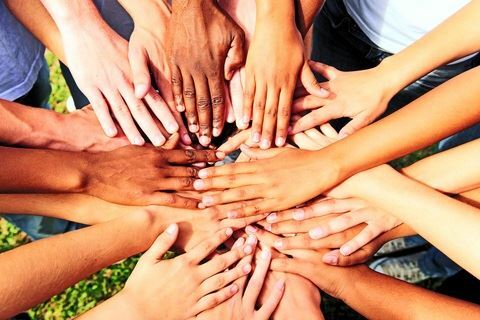 This is a time to work together, share ideas, do demos and presentations, and when requested, constructive critiquing. *Activities that require BARN Print Studio resources, training and/or additional materials are approved by the Print Lead/Steering Committee and posted separately. They are often space limited and all participants are required to sign up for them through the BARN website calendar. Non-Members - $24 for Feb - June 2019 meetings and must register. Drop in visitors are welcome for any of the individual sessions and can attend meetings for a fee of $20 per meeting/sessions, payable with cash or check at the time of the meeting. Bring a lunch if you like. There is a kitchen in which you can refrigerate and reheat food. * This class has prerequisites. Please see below. Add sailing capability to a nutshell pram. This three session class covers building the daggerboard, rudder, tiller and mast step. To take this class, you must have taken Orientation to the Woodshop, Woodshop Tool Safety Checkout 1 and Tool Safety Checkout 2. If you have not taken these classes, please register for them before you sign up for this class. Instructor: Mike Gearheard, who heads the boatbuilding programs in the BARN Woodworking Studio, is a member of the shop's steering committee and a safety monitor. 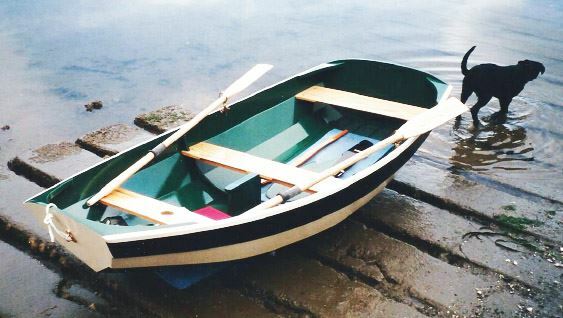 He built the nutshell pram shown in the picture and has enjoyed sailing it for many years. Short-sleeve or tight-cuff tops and close-toe comfortable shoes are required. No jewelry other than small earrings is allowed, so no rings, bracelets, or necklaces. Long hair must be tied back. This is a three session class aimed at beginners and novices. No previous welding experience is necessary. It is also suitable for more experienced welders. This class will focus on the fundamentals of furniture fabrication from design through construction. In addition to the size and materials making it custom, we will discuss embellishment via hardware, found objects, or inclusions. This class includes material similar BARN's MIG #1, #2, #3 and #4. It could create an end all project or be a warm up for a larger project such as shop table, or dining room. The bench or table is by necessity a small and simple project but the design is up to you. Nothing too large or complicated, say 24” x 24” or under. Tops could be steel, wood, slate, resin, glass, cement – something you can work with and provide. Assistance will be provided for simple wood tops. Assisted studios are available to finish projects if necessary. Please see our calendar. A class on metal finishes and patina is also planned. Personal Protection Equipment will be provided by BARN. A $36 materials fee for steel, gas, filler wire and abrasive discs is included in the price of class. Students must wear natural fiber clothing, long sleeves and long pants, closed toe shoes (preferably leather or cotton), no stretch fabrics. Learn how to use hand tools skillfully in this three-week component of BARN's Beginning Woodworking series. If you want to take our full Beginning Woodworking series, you can take this class or Beginning Woodworking: Power Tools in either order. Both classes are required for students who want to take Beginning Woodworking: Design & Build a Table. This class includes a half-hour lunch break. Please bring a sack lunch because there won't be enough time to go out. BARN has a refrigerator and microwave in the kitchenette on the lower level. Instructor: Todd Butler grew up in a woodworking family and studied hand tool use at the Port Townsend School of Woodworking. He is a furniture-maker through his part-time business, The Butler Did It. 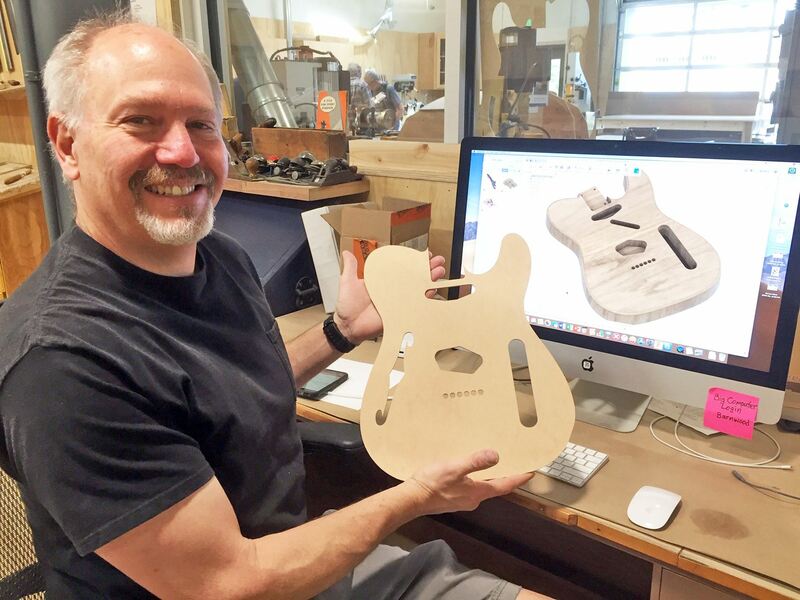 He uses hand tools regularly, although there he was in the October 2018 issue of Popular Woodworking, learning to use a CNC router with guidance from Tim Celeski, the designer of BARN's woodworking benches. Mark Bixby will assist. In this 2-session introductory workshop you will learn to design and code micro-controllers (very small, simple computer chips) that sense and respond to the analog world around us to create delightful user experiences. Small, embedded computers are finding their way into almost every (electronic) device that we use: from our toasters to our autos. Learn how these devices are designed and implemented. Python is a high level programming language used by hobbyists and professionals. The Python skills you will develop can be leveraged into a variety of other areas including data science, working with APIs and machine learning. 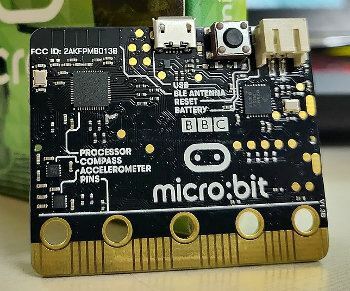 The board we will be using is a pre-built, BBC micro-bit, with a variety of built in sensors, a simple 5 x 5 LED display, buttons, audio output and Bluetooth radio for communications. The board and components are yours to take home and continue to play with. Additional projects will be available as optional take-home assignments. Skill Level: Beginner. Bring a Mac or PC. IMPORTANT: BEFORE the first session download and install the free Mu Editor onto the laptop you will bring. Go to: https://codewith.mu/ to download. If you have any problems, come to an Open Studio before the class and a studio monitor will help you. A $25 materials fee will be added to the class fee when you sign up. It covers the Micro-Bit board and all components which you will get to take home. Ken Rothmuller has worked in the computer field for over 50 years working with several major corporations, Stanford University and the University of Santa Clara. His current passion is sharing his expertise with others who want to expand their interests into new dimensions. 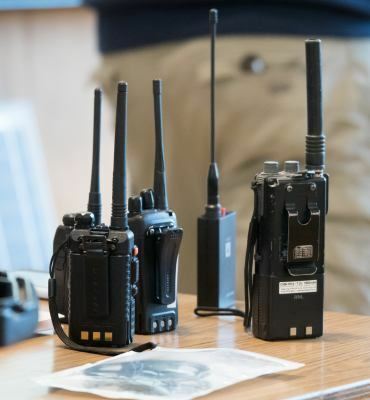 The Ham SIG (Special Interest Group) is open to newly licensed amateur radio operators (and OT/old timers alike), those who are interested in becoming hams and the radio curious. Each month there will be a different radio-related topic. A presentation will be followed by a discussion and Q&A. In this Sheet Metal Orientation and Tool Safety class, you will learn the proper use of the studio's tools and equipment; most importantly the brake and jump shear. You will try your hand with the studio's equipment, all of which is hand operated. Interested students are advised to attend before you sign up for classes or come to an Assisted Studio. This class is free but please register as there is a class size limitation of 4 students. Class size is for safety so the instructor can focus on the presentation and to help students. Participants must wear natural fiber clothing, long pants, closed toe shoes (natural fiber or leather), no stretch fabrics, and long hair tied back. Teacher/Monitor: Chris Stanley Model Maker, Educator He folds a mean piece of metal. Want to make an electric guitar, a wooden sign with engraved letters or a sculpture or toy with interlocking parts? Or do you want to precision-cut wooden parts from expensive wood while minimizing waste? The Woodworking Studio's new CNC router is the tool for you — but for many woodworkers, using it can be daunting. By signing up for a Custom CNC Router Project class, you will get one-on-one help (or two-on-one help if you want to team up with a friend and share the cost) in carrying out your project. The help available will be tailored to what you need. If you have nothing other than a pencil sketch, you'll be matched with a BARN instructor skilled in design and use of the Fusion 360 design program. If you already have a design in Fusion 360 and just need help in translating that design into the code that controls the CNC router, securing your work, and running the router, that's the help you will get. Custom CNC Router Project classes are set up for an initial two-hour session. If you already have a design in Fusion 360, you may be able to complete your project within that time. If you are starting from scratch, the initial session may not be enough but you will get a better idea of the scope of work involved and you will be able to schedule the additional time you need. Because every project is different, please email woodcnc@bainbridgebarn.org and give an idea of what you want to do. Include a sketch if you have one. Other times are available, so if this scheduled class doesn't work for you, please include in your email several times when you are generally available. Sign up to use the BARN Fiber Arts Studio Sailrite Industrial Machine. BARN members who are certified to use the Sailrite Industrial Sewing Machine can sign up for those open studio times when a Sailrite safety monitor is hosting the open studio. PLEASE NOTE: Only some of the BARN Fiber Arts open studio times have the safety monitors trained to supervise any use of the Sailrite Industrial Sewing Machine. Skill Level: BARN Member who has taken the Sailrite Industrial Machine Certification class and been certified to use the machine. This hands-on introduction is the first of a four-part series. Class size is 4 people facilitating one-on-one learning and direct mentoring. Each participant will have the use of a fully equipped TIG welding station. The objective of the TIG series is for you to be able to comfortably weld using the TIG process. The class includes shop safety and hazard awareness and proper use of Personal Protection Equipment. There is a brief introduction to welding theory and proper preparation of materials. Each student will go through the set up process for TIG welding on a Miller 215 Welder. 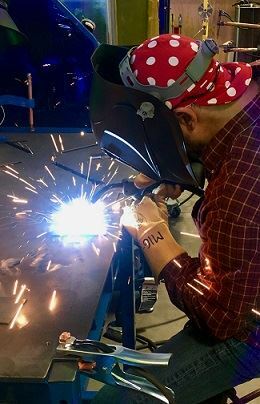 There will be approximately three hours of hands-on instruction in making a weld, different types of welds, and torch and filler rod manipulation. At the end of the initial class, students should be able to lay down a good weld bead. A materials fee of $15 for steel coupons, gas, tungsten, and filler rod is included in the price of class. Participants must wear long sleeve shirt and pants in natural fiber clothing and closed toe shoes (preferably leather or cotton). Stretch fabrics are prohibited. Erin Munter was raised locally on the Island. In her 20's she moved to Oakland, California and attended the welding program at Laney College for 4 years. During this time she interned and volunteered at a metal arts school called The Crucible. She returned to Bainbridge Island and began doing furniture bases and other fabrication for Coyote Woodshop. Eventually she moved on to work at an Island fabricating shop as well as teach at another Kitsap area school aimed towards children's welding education. She still currently does fabrication all over Kitsap. Her passion is everything welded including large and small indoor and outdoor household amenities. She also takes part in the local art community with sculptures in local shows past and future. 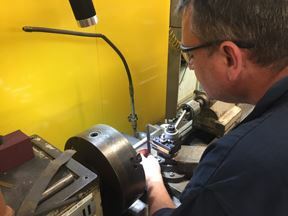 In this class you will learn about basic metal cutting, and the tools in the BARN machine shop studio used for drilling, turning, milling, sawing and grinding. There will be a basic demonstration of what the drill press, lathe, milling machine, cut off saw, band saw and surface grinder do. Throughout, there will be an emphasis on safety issues surrounding these powerful and potentially dangerous machines. This class is free but please register so we know how many to expect. This class has prerequisites. Please see below. Have a well-loved piece of furniture in need of repair or just wish you knew how to bring one back into usable condition? Or do you want to touch up or even completely renew the finish on a fine piece? In this hands-on class, you will learn how to assess a piece of furniture and how to get it back into shape. You can bring your own piece of furniture or a part, such as a drawer, that needs help. If you don’t have a piece but would like to learn repair techniques, the instructor will provide a project for you to work on. 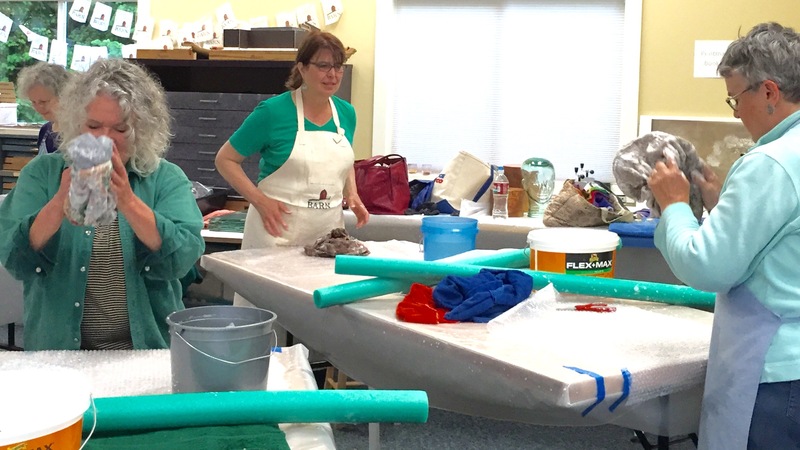 The instructor will discuss the repair issues of each piece that students bring, so you will learn about a wider array of techniques than just what is needed for your own project. * To take this class, you must have taken Orientation to the Woodshop and Woodshop Tool Safety Checkout 1. If you have not already taken them, please register for them before you sign up for this class. The materials fee includes shop supplies and materials provided by the instructor, but depending on your project, you may need to purchase additional materials. The instructor will discuss this at the first session, after evaluating your piece. Any upholstery must be removed beforehand. If your piece is so heavy or bulky that you need to store it in the shop for the duration of this class, the instructor must approve it beforehand. Please use this form to contact the instructor. 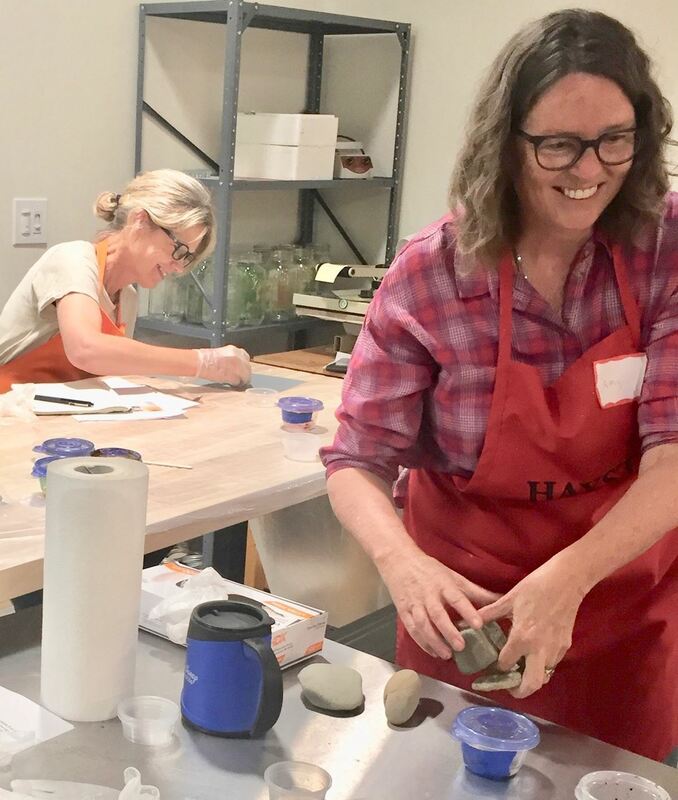 If your project is too challenging to complete within the four sessions of this class, you will be able to continue the work during Open Studio time or in a future furniture repair class. Open Studio is always free for members. Non-members can also participate without paying the usual $20 fee if they are completing a class project. Instructor: Carol Fiedler Kawaguchi is a professional woodworker who specializes in restoration of antique furniture through her business, C-Saw, on Bainbridge Island. After earning a fine arts degree from Western Washington University, she worked in New Mexico as an apprentice ceramicist and then as an apprentice violin maker, developing her skills in fine woodworking and traditional finishes. She began designing and building custom furniture in the mid-1980s. Her interest in European, Early American and Asian antiques led her to focus on their restoration and repair. No jewelry other than "button-type" earrings is allowed, so no rings, bracelets, or necklaces. Long hair must be tied back. This class will teach you how to paint and design with different metal colors onto background metals. The results of a two year research project for the Society of North American goldsmiths, and 25 years of ongoing research. It includes fusion applications (gold painting), making doublee, Keum-boo, depletion gilding (tumbaga, guanin), fusion inlay, overlay, incised overlay procedures and a discussion of fire gilding and substitution approaches. Control factors for free compositional choice are defined and demonstrated. Predominately demonstration and instruction with time allowing for hands on practice. This is an intermediate level class for those that have taken at least 2 jewelry or metals classes from BARN or another school. A $40 material fee is included in the registration fee. Please provide your own gold and/or gold leaf. There will not be any to purchase. Please bring a bag lunch. BARN has a refrigerator to store your lunch, located on the lower level. Notebook, pens, camera to record samples if desired. Thick (3mm/1/8th inch) copper, sterling sheet in mixed gauges, sterling wire, various carat 16-16g gold wire or some gold jewelry scrap to make wire. Solder and soldering equipment and supplies, a hemostat is recommended. Your favorite hammer, chasing tools, stamps, chasing tools etc. Wiggly pattern scissors, and any paper stamps you have (like the scrapbookers use), don’t worry about buying them if you don’t have these. Instructor: Master goldsmith Charles Lewton-Brain has trained, studied and worked in Germany, Canada, and the United States to learn the skills he uses. His work and writing on the results of his technical research, have been published internationally. In 1994 Brain Press was established which documents, publishes and markets the results of his research activities. 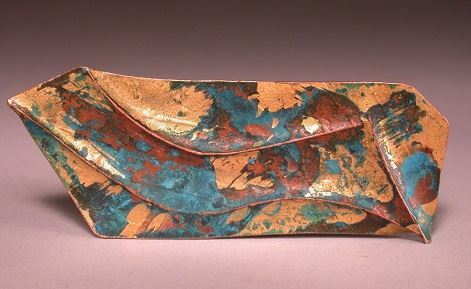 His publications include two major books, Fold-forming with Brynmorgen Press, and The Jeweler's Bench Book with MJSA Press. Charles with will be giving a lecture with Nanz Aalund on “Education to Employment Challenge in Jewelry Industry" at BARN on Friday, April 26th. This event is free. In this class you will learn how to set up and run the 6 x 18” Hydraulic surface grinder. You will be introduced to the coolant system, learn how to dress the wheel, set table travel limits, adjust speeds and feeds, clean surfaces and precision grind stock. Must have machine shop Orientation class and be familiar with general metal removal techniques. This is a Welding Open Studio for members and guests to work on personal projects. This class is for those that have completed MIG 1, 2, & 3 OR previous welding OR plasma cutting experience. Participants may practice their welding skills or pursue their projects and are encouraged to bring their own project materials. There will be a safety refresher. Please contact Henry Sharpe at the email below if you have questions. Registration is required for this assisted studio. There is an additional materials fee of $15 for up to 5 pounds of steel, filler wire, gas, and consumables. BARN will provide Personal Protective Equipment (PPE). Teacher/Monitor: Dave Roe. Dave is an amateur welder and active the the Metal Fabrication Group at BARN. Dave is also a BARN Board Member. 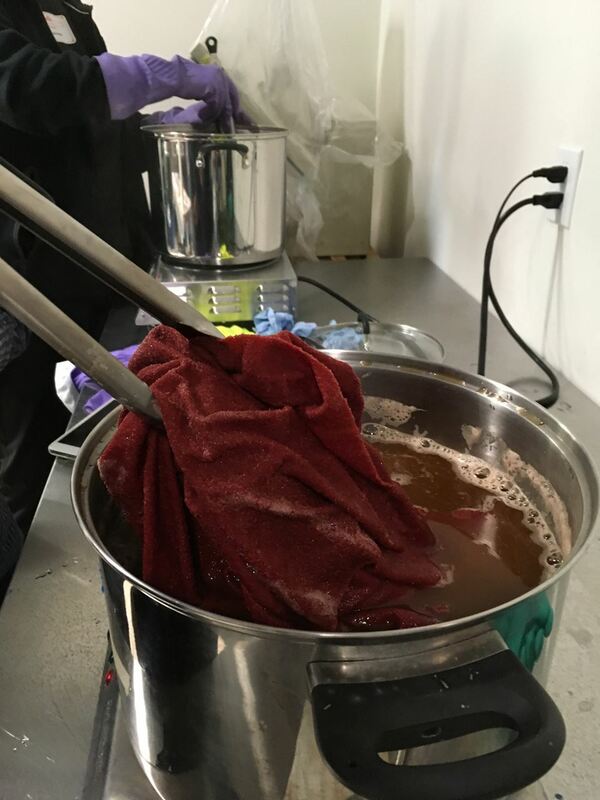 Did you know that the Fiber Arts Studio has a room with sinks, stove, washer and dryer, as well as other equipment and supplies -- all dedicated to fiber crafts that use these kinds of resources. Known as the “Lab,” this room in BARN’s Fiber Arts Studio supports a variety of surface design and related techniques, including natural and synthetic dyeing, eco-printing, screen printing, felting, paper-making, and more! This Basic Orientation introduces the Lab and is a prerequisite for using the space independently. We will show you around, talk about best practices surrounding safety and sustainability, and then set up a follow up time to discuss the sorts of work you would like to do in this space and whether there are any additional prerequisites for it before you are signed off to use the Lab on your own. (This follow up is also required before you are cleared for independent use). We welcome everyone to take this Basic Orientation, even if you have no specific plans for the Lab and are just curious about this wonderful resource. Please register so we know how many to expect at the orientation session. Ages: Ages 12+ welcome. Children under the age of 14 need to be accompanied by an adult. This class is a benefit for BARN Members only. 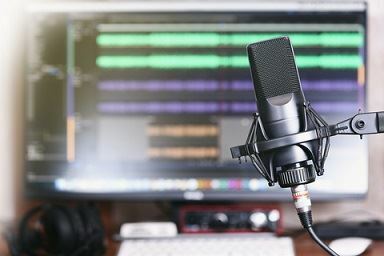 Learn how to use the Media studio to make simple audio recordings. Upon completion, you will be qualified to use the studio recording equipment. In addition, you will be granted FOB access, have access to the Google calendar to reserve studio time, have access to Google Drive storage for sharing your work with yourself at home, and will be given instructions on how to maintain an orderly studio so that others will not be confused or disoriented. A brief introduction to equipment that may be used outside of the studio will also be given. Note: On-boarding training is a requirement for unsupervised use of the Studio. Please register as class is limited to 3 students. In this unique class, you will explore the meditative technique of powdered glass frit. 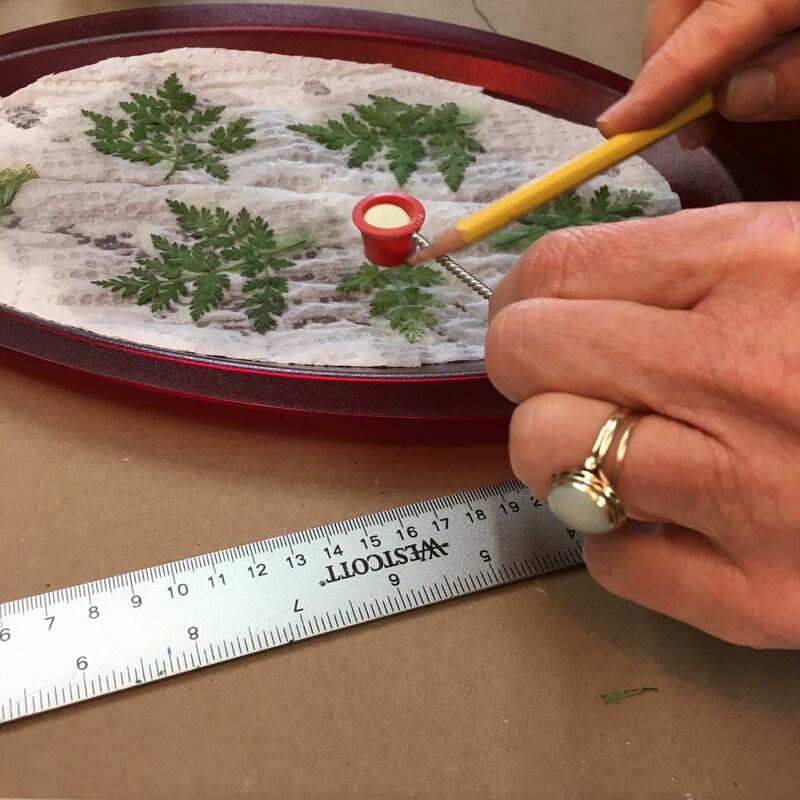 Using frit powders of various colors and choosing previously dried foliage you will create striking floral images in this class. In the three-hour session you will come to understand the necessary safety practices and clean up using glass powders. You will cut your basic shapes out of glass. 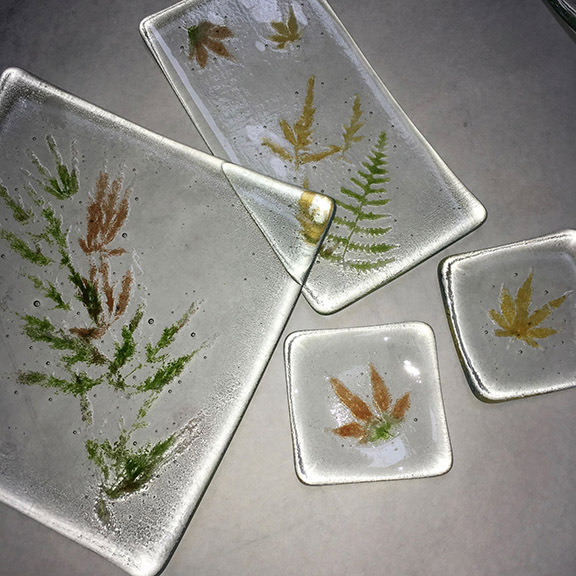 Then with step-by-step instruction you will practice the process of layering frit to colorize the dried foliage you have chosen to decorate your dishware. Frit combined with foliage creates delicate organic images that will compliment your food presentation or anything you might imagine. In this class you will produce one 8” x 8” square swoop serving piece and up to five 3” x 3” condiment dishes. There is a $45 materials fee included in the class tuition. Note: Instructions will be sent to each student on how to dry & store your foliage before class. The "olini" of Mesolini Glass Studio, Diane's love of glass is her passion. As a full-time glass artist who has lived and worked on Bainbridge Island since 1977, she grows and changes with every project. She describes glass, her medium of choice, as having a life of its own. This multifaceted medium shows itself in each of her creations: stained glass, slumped and fused glass, lamp work, or glass combined with concrete. Remember to wear close-toed shoes & long pants in the Glass Studio at all times! This is a strictly enforced safety policy. Thank you. Whether you've never written, written much, are a published writer or somewhere in between, no matter what you might be thinking about or actually be writing (any genre), whether you're writing for yourself, your family or with plans to publish, this six week series will generate new writing, new energy, be fun, and may even surprise you. It's an opportunity to learn more about your strengths as a writer and to learn craft elements. 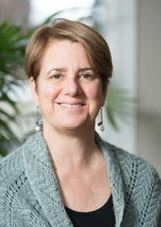 As an Amherst Writers & Artists (AWA) Affiliate, using the practices outlined in Pat Schneider's book Writing Alone and With Others, Julie Gardner creates a safe space for people to express and take risks with their writing. Usually two to three prompts are suggested (optional) followed by a time for reading and responses (optional). Since each writing is a first draft, like "a new baby" says Pat Schneider, responses can only start with: what I liked, what was strong, what stays with me. No criticisms or suggestions are allowed. Come try it and see your writing and confidence expand. Julie Gardner has masters degrees in counseling and human development & the family and a bachelors in early childhood education. She is well published in those fields and has been a national adult educator of early childhood professionals. 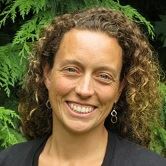 After a move to Seattle 11 years ago, she took many classes at Richard Hugo House, received a literary fiction certificate from University of Washington and became an AWA Affiliate. 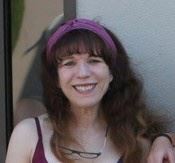 For nearly nine years she has led retreats and weekly WritersGathering groups in Seattle including one at Mary's Place, a day shelter for women experiencing homelessness which resulted in an anthology edited by Julie. Four years ago she became a nationally certified Life-Legacies facilitator and has led individuals and groups in legacy/ethical will writing. In this open studio one or more experienced machinists will be on hand to assist you with your project. The prerequisite for attending this Open Studio is Machine Shop Orientation and preferably at least one lathe and milling class. Some experience with machine tools desired. Bring your own metal or plastic and hardware for your project. Bring safety glasses and hearing protection may be needed. We have ear plugs available. This Machine Shop Open Studio will be held every Wednesday from 6:00 to 9:00 p.m. and is free to Members and $20 for Non-Members. Please register for each Wednesday's Open Studio you would like to attend so we know how many will be attending. Instructor Bio: Peter and Stan are retired mechanical engineers who have had or have their own metal machining work shops. Traditional Knife-Making: Use a forge to heat pieces of steel red hot and hammer them into the shape and edge of a knife. Repeat, again and again. Temper and quench. Then grind a final edge. You have a hand made knife to fit with a handle. These knives are utility knives, not kitchen knives. The knife-making class serves as an introduction to basic blacksmithing. The traditional knife-making class is a three hour hands-on class culminating in completion of a hand made knife. Location: This is an off-site class. Participants must wear long sleeve shirts and pants in natural fiber and closed toe shoes of either leather or cotton. Athletic or synthetic shoes and stretch fabrics are prohibited. Class size is limited to 4 students to provide good mentoring. BARN would like to expand our programs for young people in the community, and we're looking for input from kids and teens and their parents! What kinds of classes and events would you like to see for young people? When are the best times to offer programs? What are other barriers that may be getting in the way of young people being involved at BARN? Please join us from 7-8 pm on Wednesday, April 24th for guided conversations designed for you to brainstorm and share your ideas for the future. We look forward to working with you to help meet the needs of young people in our community! No need to register, just drop on by. All ages are welcome. We’ve all listened to podcasts, but did you know they are easy and fun to make? With a minimum of equipment and software, you can create and publish your own interviews, thoughts, and stories, and share them via iTunes and other smartphone and computer apps. This is a beginning level class. The Media Arts & BCB studio has been making podcasts for more than 4 years and has done over 600 published podcasts. Come learn from us easy ways to produce enjoyable listening while learning how to avoid time consuming mistakes. • What is a podcast. The classes will be small with no more than 3 students. Everyone will get hands on experience with the equipment. Instructor: Chris Walker has been producing podcasts for Bainbridge Community Broadcasting since 2014 and has detailed knowledge of production and post-production techniques. In this class you will learn tips and tricks for safer, easy patination methods for metals that involve easily obtainable and even kitchen chemicals to produce a wide range of blues, greens, browns, blacks, greys and reddish tones on most metals including precious ones. Application methods and options for control of pattern and surface are described. Also addressed are dyes, paints, sealing surfaces and finish choices. Japanese approaches, smoked surfaces, immersion, pastes, bound materials, sawdusts, plant and flame resists and more are covered. The information is addressed as a compositional system. Easy is the theme. Predominately demonstration and instruction with time allowing for hands on practice. A $25 material fee is included in the class fee.